Harsh weather conditions and the continuous use of railroads affect the overall condition of railroad tracks. Cracks and defects appear, and to ensure safe operation, the tracks have to be inspected. The consequences of negligent railroad maintenance can be severe and result in delayed traffic, costly repairs, and loss of material. The SMART EVO 300D can also be integrated as part of a mobile inspection system, which travels at ground level for railroad track inspection. It is a non-contact detection system that identifies and accurately qualifies internal flaws in the tracks. The high performing SMART EVO 300D has the X-ray power to penetrate massive rails, and combined with its compact size, it is ideal for any automated inspection vehicle. Railroad inspections are carried out in all types of weather. 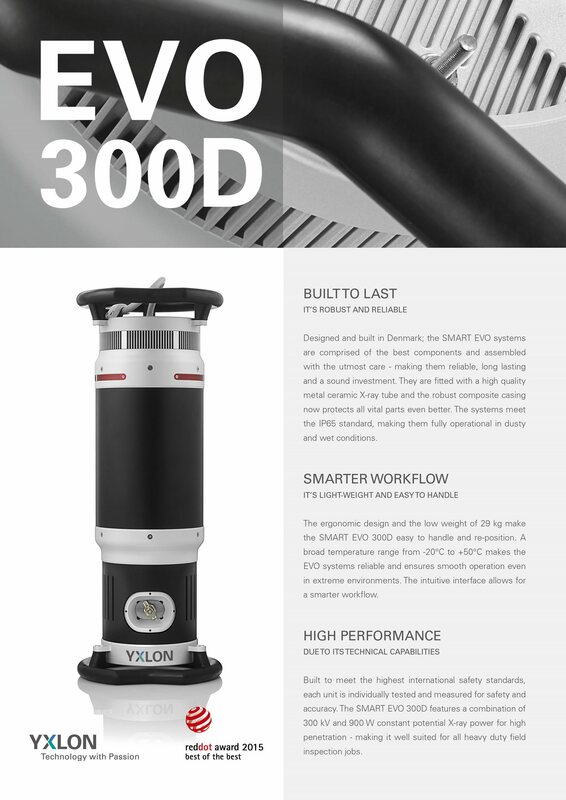 The SMART EVO 300D meets the IP65 environmental protection standard, which means that it can operate seamlessly in both wet and dusty conditions. The system is also designed for use within a broad temperature range. The solution is based on an AC/DC module and an OEM controller board. This module is integrated into the vehicle in relation to its form factor. The operation of the X-ray is controlled through the RS232 serial interface, making railroad inspection an easy task.